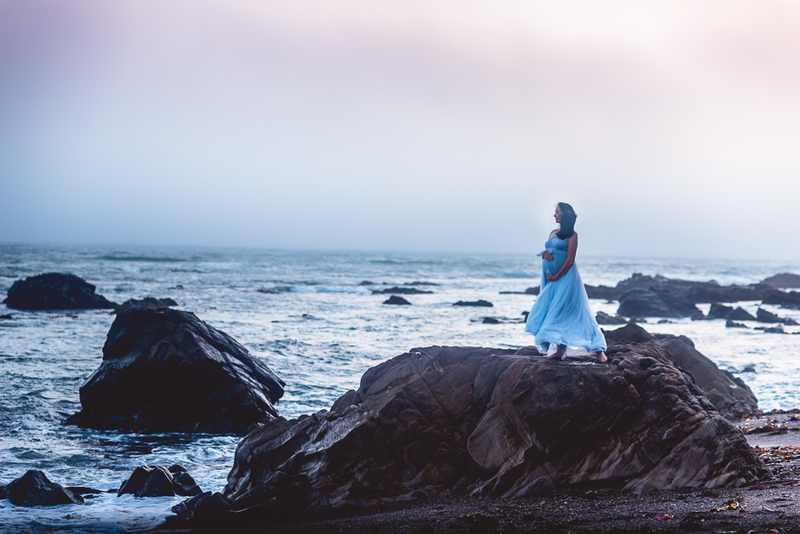 The Traveling Dress Collaboration is a brilliant creative project brought together by several photographers within the Motherhood Society (Beauty & Lifestyle Mommy Magazine's endorsed professional motherhood photography communication). As elite creatives, each photographer was impressed with one another’s different photography and editing style and they decided to celebrate different women, all from different ethnicity, different stages in their pregnancies and in different settings, using the exact same dress to make their unique visions come to life. Each photographer had one single week with the dress, a custom design from Sew Trendy Accessories; styling the dress with their own creative vision and shooting it with their own style, before mailing it off to the next person. To avoid creatively influencing the vision of one another, the participating photographers agreed to refrain from sharing the images until each of them had the opportunity to shoot with the dress and submit their images for publish in the magazine. The dress traveled around the United States between eight participants, each very different in shooting style and artistic voice, we are so excited to share this collaboration with you! I had the deep honor of photographing two mamas in waiting for my portion of the project. First time mama Jess ran away to the creek with me and dreamed in the water. and then... 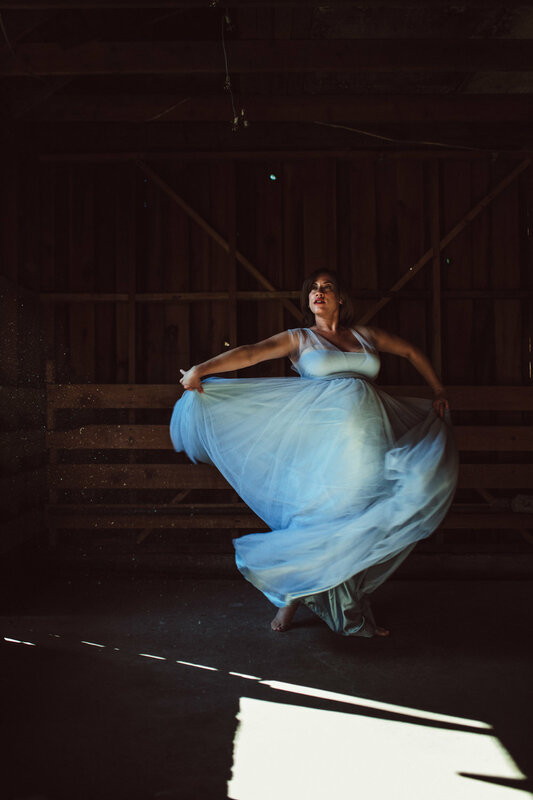 I got to dance in an old barn with a second time mama, Sarai in her 39th week! Catch the entire project at the below links! They still fit inside the circle of your arms for so very long; somehow, even though they are growing out of clothes and socks and eating everything in the world.....they still fit into you.